OBS Engine Mini Rebuildable Tank Atomizer is a new smaller tank than previous Engine. Integrates a unique top airflow circulation system, it features anti-leaking apparatus. You will fall in love with the perfect designed RTA to get amazing vapor clouds. OBS Engine Mini Rebuildable Tank Atomizer is a new smaller tank than previous Engine RTA, but similar in the structure. This rebuildable atomizer comes with 23mm diameter tank for maximum 3.5ml e-liquids. 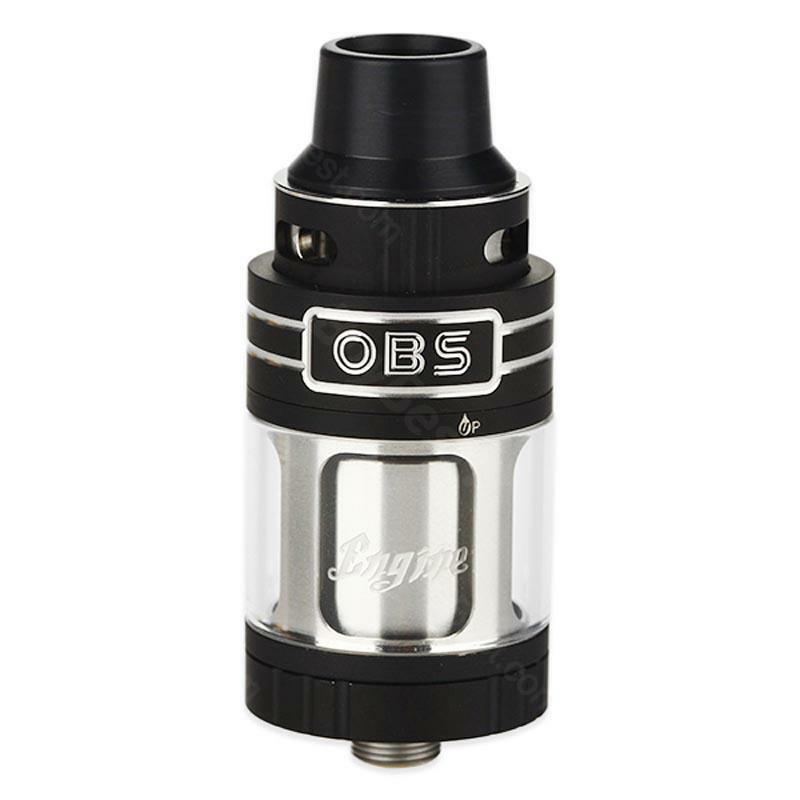 Integrates a unique top airflow circulation system, OBS Engine Mini RTA features anti-leaking apparatus, reduced a variety of problems caused by leaking just like short-circuit. Engine Mini RTA adopted a powerful DIY deck with 2-post dual terminal design, which can build wires easily as 2mm diameter terminal posts. Quad wicking ports are located beneath the deck which is separation design of juice well and build deck. This designed structure will reduce about 30% of the working temperature. OBS Engine Mini RTA offers a perfect exemplary design that you will get amazing vapor clouds with it. • Rebuildables are for experts, not average or beginner vapers with no knowledge of how to rebuild atomizers.These materials cannot safely be used by the inexperienced or those without basic knowledge of electronics. • 510 thread. Compatible with most 510/ego thread batteries. Perfect! Just what I was looking for. Thank you, Buybest!!. Top Preis Leistung Verhältnis. Vorallem sauberes Wechsel der Flüssigkeit Patronen. Für den Preis ist OBS Engine Mini RTA nur zu empfehlen.